Home » Fresh new greens! Fresh new growth is happening! The Nature's Notebook "Initial growth" phenophase. Whatever region you live in, some of the herbaceous species - forbs and grasses - you are watching in Nature’s Notebook may already be in a new growing phase. 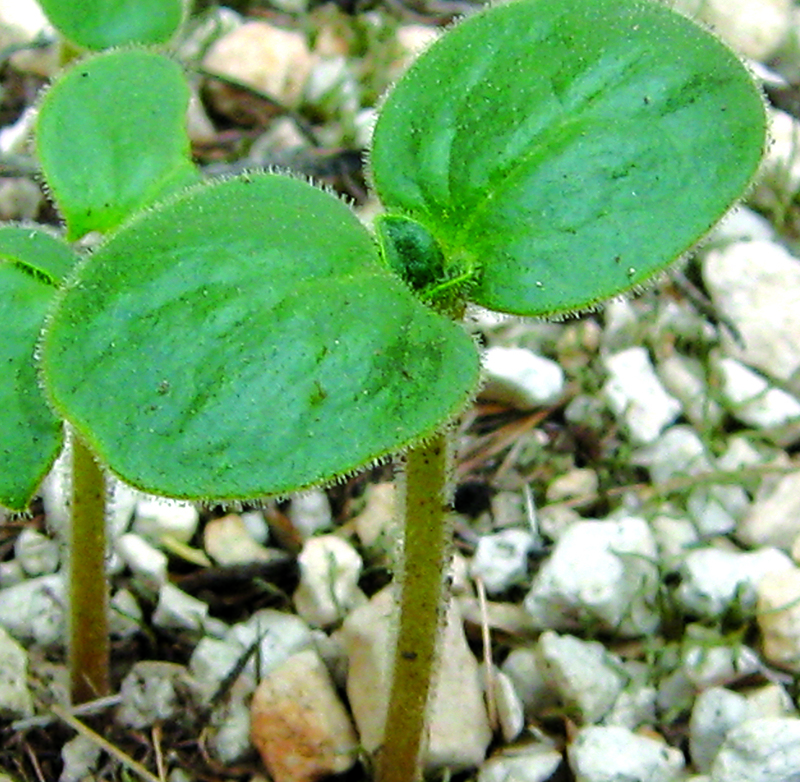 You may see new sprouts emerging from the soil or renewed growth on your plants. Of course it will depend more specifically on a species’ natural history, but the plant species you have chosen may begin responding to changes in daylength, temperature, and/or accumulated precipitation. If your chosen species is an annual, and you live in a region with mild winters, you may see germinating seeds - new sprouts that have one or two "seed" leaves (cotyledons) - popping up out of the soil. And if your chosen species is a perennial, you may see new tiny sprouts starting to push out of the ground from their root crown, bulb or corm, or green growth at their stem nodes along leafless stems and stolons/tillers. If your species is a perennial grass, you might see new green growth in several places - sprouts from the base of the plant, new sprouts at stem nodes or pushing out the tops of dried branches, or new green at the leaf blade collar area of seemingly dried leaves. Let’s look more closely at initial growth in each of these types of plants. Annual plants typically complete their life cycle, from germination to the production of seeds, within one year, then they die. If your species is an annual forb (non-woody flowering plant) or grass, the "Initial growth" phenophase occurs when the germinating seed has pushed its seed leaves above the ground (depending on species), but before any of the new "true" leaves have fully unfolded on the tiny plant. 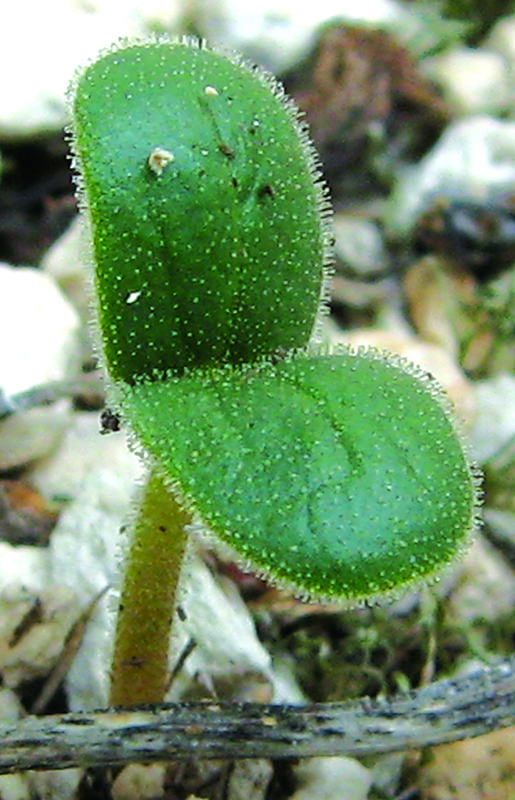 For an annual forb species: Keep in mind that each species has its own unique shape for its seed leaves (cotyledons), and typically they are a different shape than their "true" leaves, which are generally tiny versions of the characteristic mature leaves. 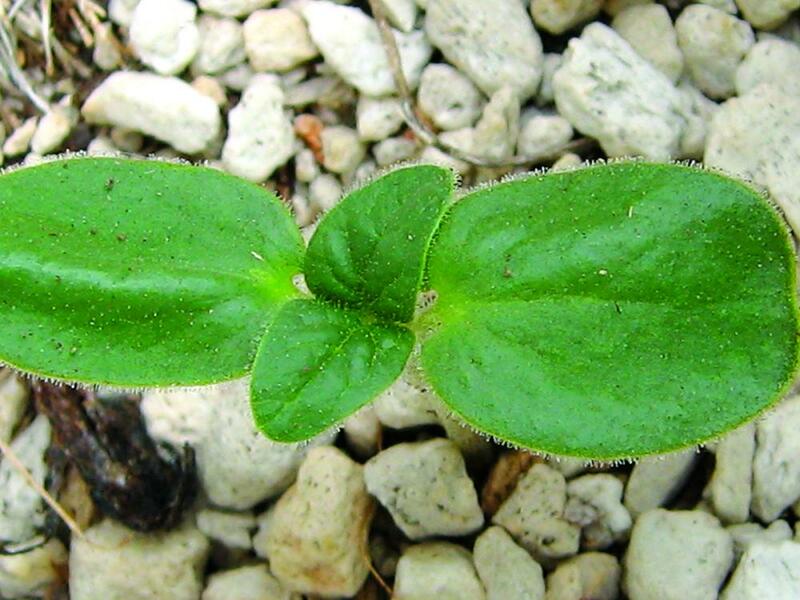 For species having two seed leaves (dicotyledons), the true leaves emerge between the two seed leaves on a new stem that gradually elongates. Getting to know your plant’s characteristics - such as the number of seed leaves it typically has and their shape versus the "true" leaf shape - will help you accurately report on the "Initial growth" phenophase. In the images above, the seedling in the top two images are in the "Initial growth" phenophase, but in the bottom image the "true" leaves have emerged and are considered fully unfolded - and the plant has now entered a more mature phase of growth. For an annual grass species: Grasses are monocotyledons, that is, they have one seed leaf (cotyledon) and typically the cotyledon remains underground at germination. A protective sheath is typically the first growth emerging from the soil for a germinating grass - called a coleoptile - although it is typically difficult to see because it stops growing at or near the soil level. Generally the first thing an observer would see is a tiny new leaf, a "true" leaf, that emerges from within the coleoptile. 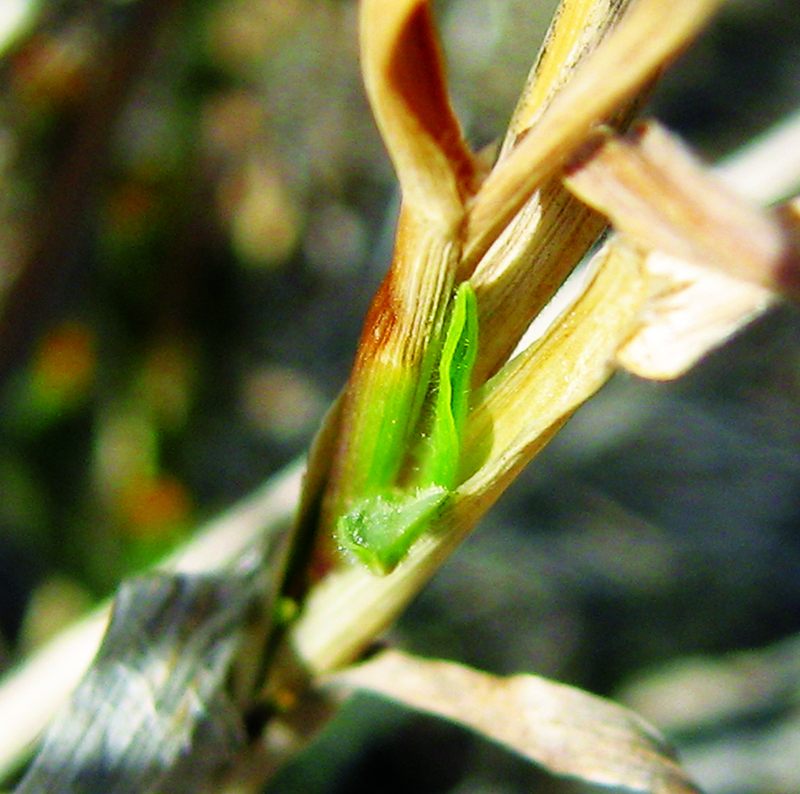 Subsequently, new leaves emerge one at a time, from inside the leaf sheath of the older grass leaf, then they elongate and "unfold" as the leaf blade falls away at an angle from the growing stem. To the left, the germinating grass seedlings in the top image are in the "Initial growth" phenophase, but in the bottom image the tiny plants now have two leaves that have unfolded and the plant has progressed to a more mature phase of growth. Perennial plants generally live for more than two years. If your species is a perennial herbaceous plant - a forb or a grass - the "Initial growth" phase occurs when the plant responds to environmental cues specific for its species and begins generating new green growth. Depending on its species’ characteristics, new growth and sprouts will initiate from growing areas (meristems) that were alive, yet dormant, and have become active again - the base of the last year’s plant, or root crown, or from stem nodes on underground stems (rhizomes) or tubers, or from underground bulbs or corms, and/or from the stem nodes on stolons and tillers (above-ground runners). 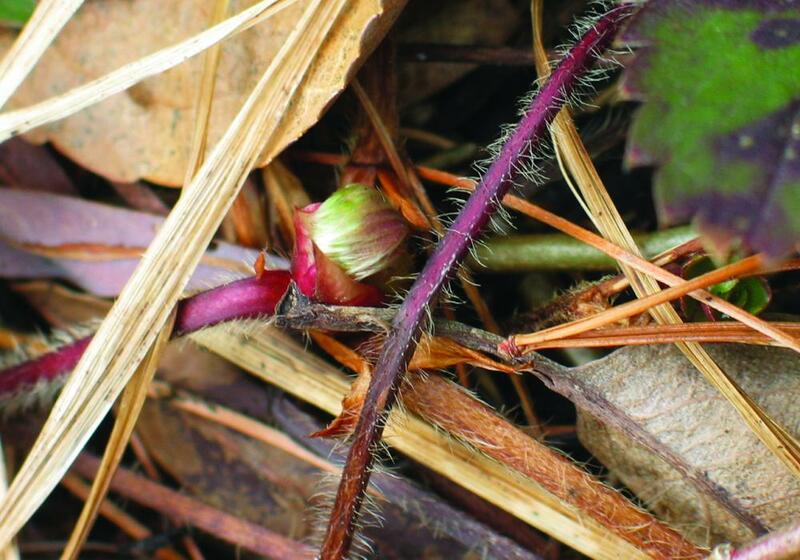 For a perennial herb species: Depending on the species you have chosen, a perennial plant coming out of seasonal dormancy will have characteristic ways of entering into a new growing phase. Some species will have lost all of the above ground plant biomass (stems and leaves) leaving little evidence that they were present at all last year. They will sprout from their underground plant parts (root crowns, rhizomes, tubers, bulbs, corms, etc.) that are still alive and becoming active again. 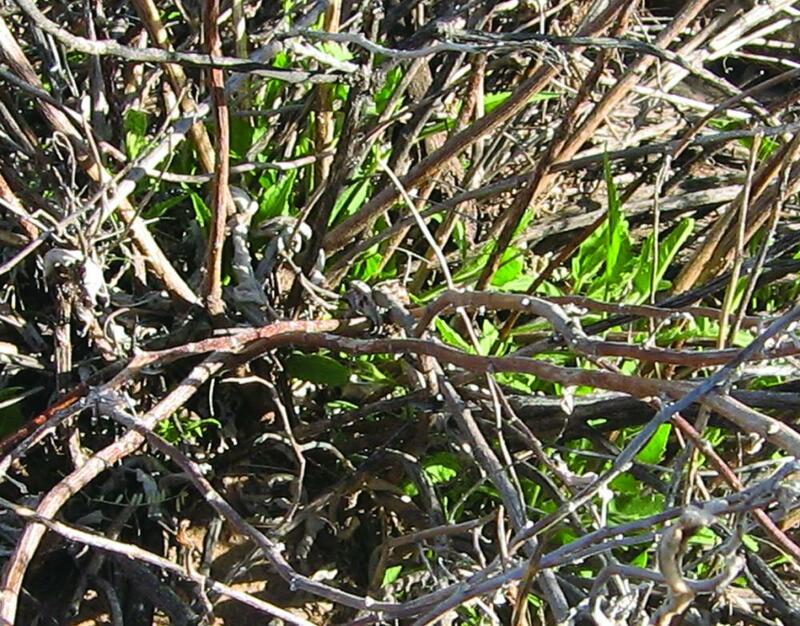 Yet other species might have retained some above-ground stems, such as stolons, and will begin generating new leaves and stems at the old, yet still alive, stem nodes and, possibly, at the tip of the stem. The images to the left show "Initial growth"; the top image shows new leaves from an underground bulb. It’s first new leaves have not yet fully unfolded, and until they do, they are considered in the "Initial growth" phenophase. The middle image is "Initial growth" on a strawberry stolon, and the bottom image shows "Initial growth" on a plant in which it’s biomass hasn’t rotted away after dying back after entering dormancy. 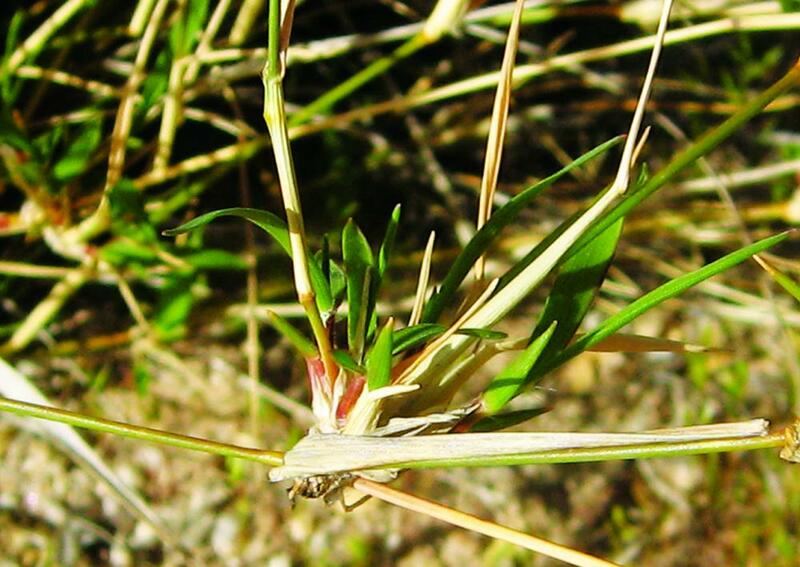 For a perennial grass species: Depending on the grass species you have chosen, a perennial grass coming out of seasonal dormancy and beginning to actively grow again will have characteristic ways of initiating new growth. Perennial grasses typically retain dead and dried plant biomass (stems and leaves) above ground - sometimes lots of it. 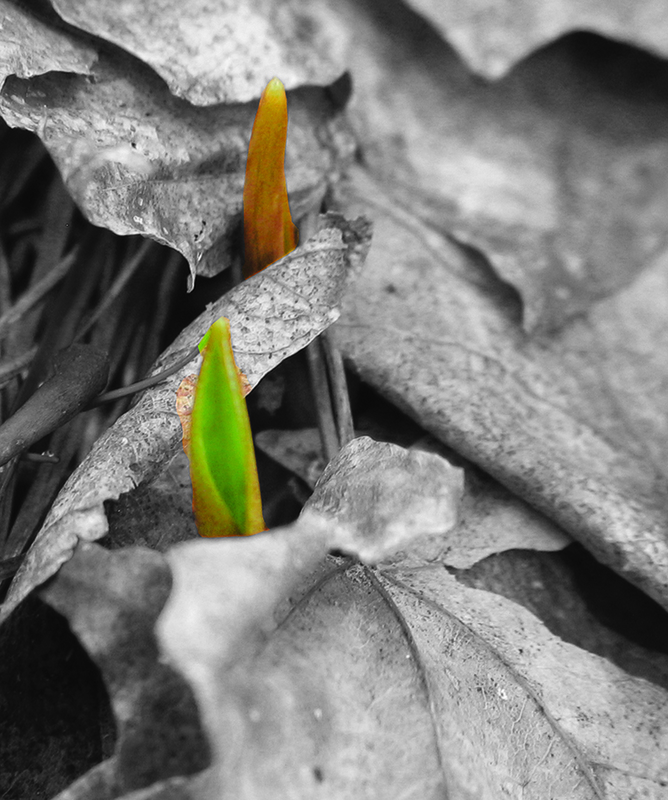 It may take some up-close scrutiny and pushing aside of dead, dried leaves and stems to see newly-initiated growth. 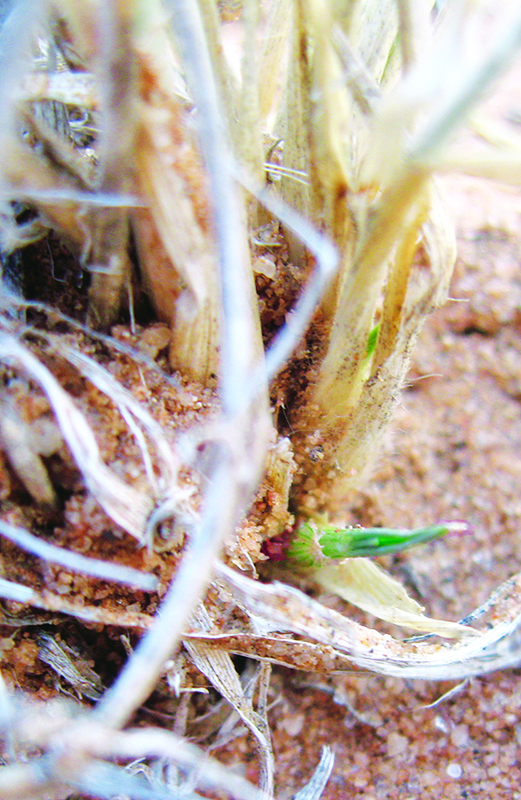 As the plant becomes active again, it may send out new sprouts from areas on the plant that have remained alive, yet dormant - from the base of the plant or from below ground plant parts (stem nodes on rhizomes), or from above ground plant parts (stem nodes on stolons/tillers, stem tips, stem nodes on the culm/grass stem), and/or new green growth around a leaf’s growing areas (intercalary meristems) of drying leaves (located just above the collar of the leaf at the base of the leaf blade and again at the base of the leaf sheath). Until the first newly initiated leaf is unfolded in any of these locations, the plant is still in its "Initial growth" phase. A close inspection of these places will help with the discovery of newly initiated growth. The images to the left show some of what an observer might see during the "Initial growth"phenophase. The top image shows a new sprout coming from an underground rhizome, and the middle image shows new sprouting at a stem node. 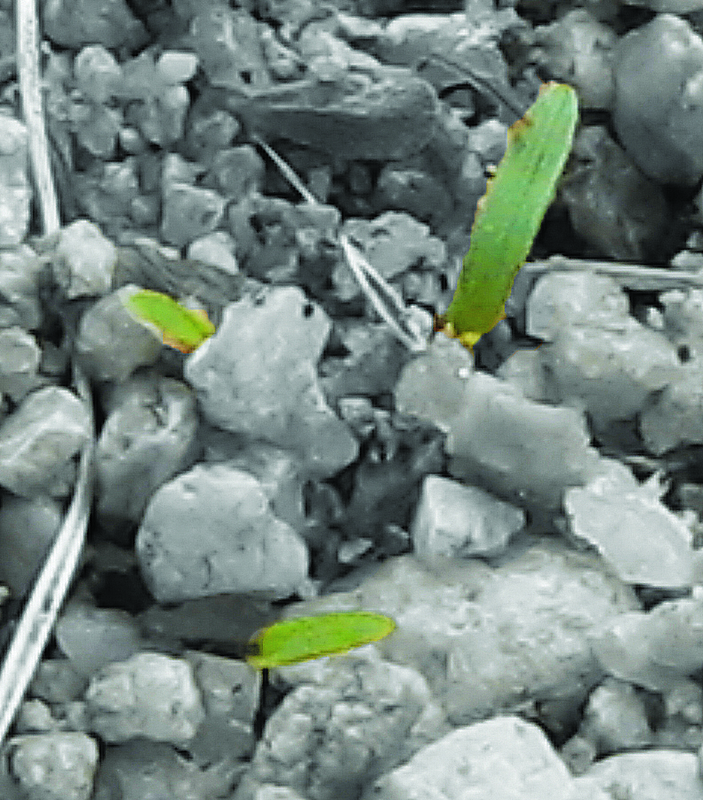 The bottom image shows sprouting on a stem node along a stolon or grass tiller, where there are several sprouts initiating from the same node. Most of these sprouts appear to have unfolded leaves and thus have passed the "Initial growth" stage to a more mature stage of growth. In some instances, these sprouts, when touching the soil, may initiate new roots for new plant development. 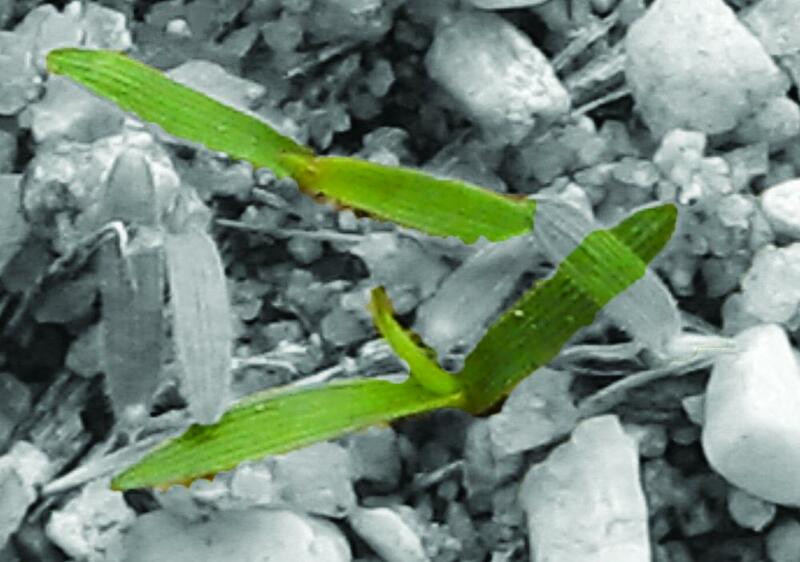 At a distance a general "greening-up" of a perennial grass plant may be detected, but by the time you see green at a distance, the plant’s growth may be quite advanced. A closer look might show that the leaves have already unfolded and the plant is no longer in its "Initial growth" phenophase. If you are an observer of grasses, it will be helpful to start looking at your plants early, and to get in close and move aside dried stems and leaves to get an unobscured look at what might be going on with your plant. Thanks to all of our Nature’s Notebook observers for recording your species’ green-up! We depend on you to make expert observations so that we can understand plant response to environmental variables over time. It takes your careful, and perceptive, observations - and your dedication - to help us all learn! Enjoy the green!